Danlee Mitchell has been a San Diego institution for over 40 years—as the world’s leading authority on the music of American composer Harry Partch, as a Professor in the School of Music and Dance at San Diego State University, and as a distinguished board member of the Center for World Music. 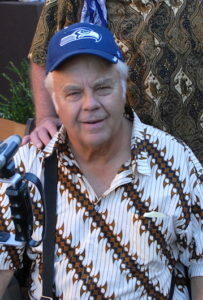 As a true renaissance man traveling the world over, he has lectured and performed Western, Asian, and African music in Europe, Asia, Latin America, the Pacific, and across the United States. It has been my distinct pleasure to have enjoyed many years being enriched as a colleague of Danlee, both at SDSU and through the programs and projects of the Center for World Music. I have found him to be an artistic visionary—one with a laserlike focus on promoting art, especially music, of the highest quality. On behalf of both SDSU and the CWM, I wish to thank Danlee Mitchell for his many and distinguished contributions to world music in San Diego. Thank you Danlee for being such a valued colleague of mine and for being such a trusted friend of all San Diegans. 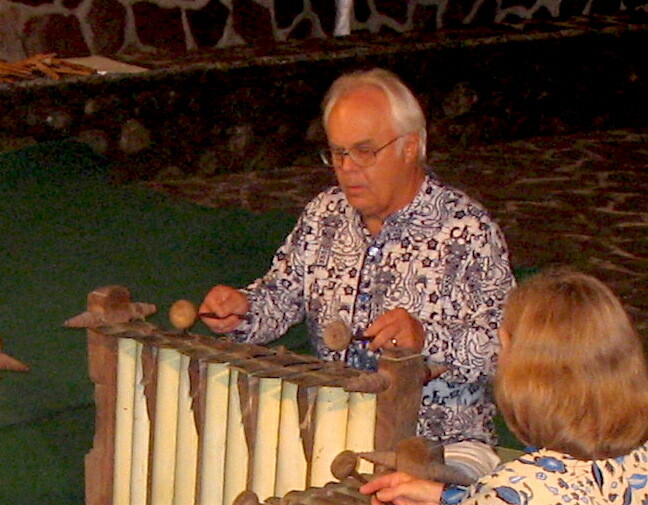 Gracias señor Danlee for your participation and assistance with the SDSU Javanese gamelan performances in Tijuana and Ensenada. I can’t believe you didn’t pull your back lifting the big gong on to the stage all by yourself! Xie xie Xian Sheng Mitchell for your support and assistance with the numerous workshops, concerts, and classes in Chinese music that the SDSU students enjoyed over ten years. Confucius himself would surely have admired your devotion and industry! Arigato Danlee-San for your assistance with concerts and classes of Japanese music in San Diego, both through the Center for World Music and through the SDSU World Music Concert Series. Haiku to you! Kamsa hamnida “Professor” Mitchell for your support and assistance with the SDSU lecture/demo. by the distinguished Korean komungo player Jin Ki Kim. Did you really set up the risers all by yourself? 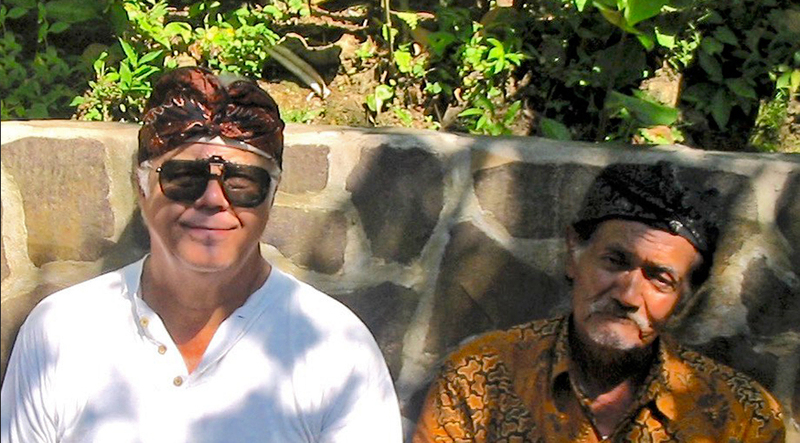 Terima kasih Pak Danlee for mentoring SDSU music students while they were conducting fieldwork for the first time in Indonesia, for your devotion to holding the SDSU and Canyon Crest Academy Javanese gamelan programs together over the years, and for performing public concerts with them as necessary. Aduh! What a gong player! 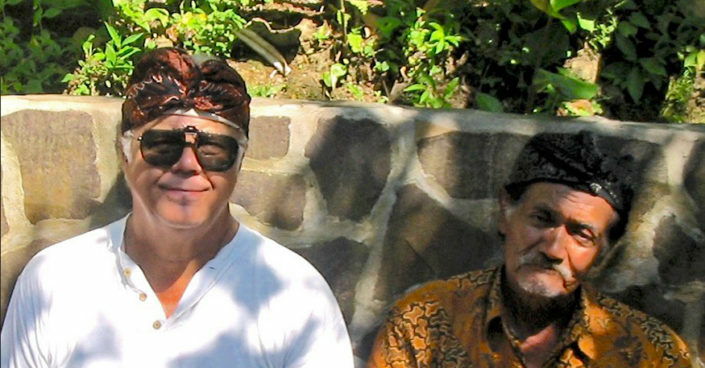 Suksma pesan Bapak Mitchell for comforting music students whenever they experienced the sting of culture shock in Bali. Thank God they all returned safely to Flower Mountain after all those cremations! Teshekkurler Bay Danlee for your companionship in Turkey, and for all those fabulous videos of Hagia Sophia and the Blue Mosque. Experiencing the whirling dervishes, the mehter band, and the Topkapi Palace just wouldn’t have been the same without you there! Mamnoon Mitchell Khan for your support and assistance with all those workshops, concerts, and classes in Iranian classical music. I know that you have earned the lasting gratitude of the entire San Diego Iranian community! Ndatenda VaMitchell for your encouragement and support of the mbira classes, workshops, and recitals. I am confident that the Shona ancestors are looking down on you with pride, nay, with gratitude for sharing their precious sacred tradition with Americans! Akpe “Professor” for initiating the SDSU African Music Program and for patiently mentoring SDSU music students while they discovered wondrous cultures in Africa, of Ghana and Togo. I only wish I could swing those hips as well as you! Kiitos Mr. Mitchell for helping to raise funds to purchase dozens of Finnish kantele zithers that university and K-12 music students throughout San Diego have enjoyed for many years. Surely no other city in America has access to so many kanteles! Thank you Danlee for putting San Diego on the world map with Harry Partch’s unique musical instruments and musical compositions, for co-directing the SDSU World Music Program for over 10 years, for co-directing the SDSU and CWM World Music Concert Series for over 10 years, for co-directing national-level summer world music workshops under the auspices of The College Music Society and the CWM and The SDSU School of Music and Dance for over 10 years, and thanks too, Danlee, for continuing to rediscover the beauty and fascination of world music along with me—as a teaching colleague, as a performing musician, as an arts administrator, and just as an explorer of the worlds of music. Thank you Professor Mitchell for being such a wonderful friend and supportive colleague. We in San Diego have greatly enjoyed your visionary leadership, your endless support, your helpful assistance, your optimistic encouragement, your tireless industry, and your profound devotion to music in our city on the Pacific. And, when you finally leave America’s Finest City for your retirement island in Puget Sound, we shall truly miss having such a trusted friend right across town.